If you have been waiting for them to introduce an update version of the Mac Pro the wait is now over as Apple unveiled their 2012 Mac Pro at this years WWDC. There are three models of the 2012 Mac Pro to choose from, and entry level quad core version with a single quad core 3.2GHz processor, 6GB of RAM and a 1TB hard drive, this version retails for $2,499 and also comes with ATI Radeon HD5770 with 1GB of GDDR5 RAM. Next up is the 12 core Mac Pro which features two 2.4GHz six core Intel Xeon processors, 12GB of RAM a 1TB hard drive and an ATI Radeon HD 5770 graphics card, this model retails for $3,799. 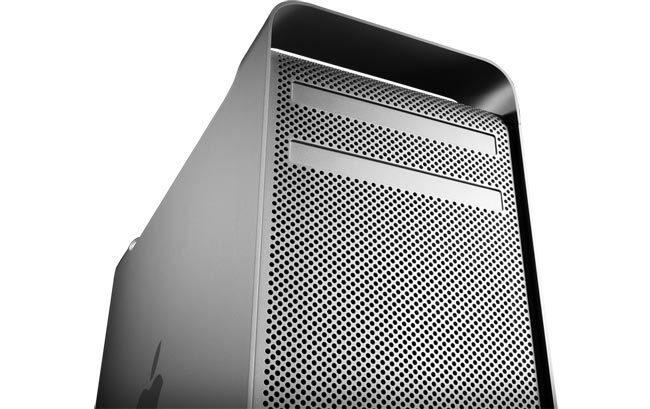 Finally there is the Mac Pro Server which comes with one quad core 3.2 GHz Intel Xeon processor, 8GB of RAM and a 1TB hard drive, plus an ATI Radeon HD 5770 with 1GB of GDDR5 RAM, this model retails for $2999.